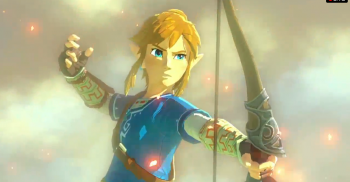 Nintendo's Eiji Aonuma says the upcoming Zelda Wii U title will cut down on the hand-holding. "Hey, listen!" is a catchphrase that every Zelda fan will know, as that annoying little fairy has since come to represent the iconic over-eagerness of the series to hold the player's hand. The Wii's Skyward Sword in particular was criticized for its long, cut-scene heavy tutorials at the beginning of the game. Zelda series director Eiji Aonuma has acknowledged the problem, and vows to cut down on it for the upcoming Wii U Zelda title. "When we created Skyward Sword, I really felt the need to make sure that everyone playing the game understood it. But I also understand now, in hindsight, that when you go out and buy a game, you buy the game because you want to play it, and you don't want to have any obstacles in the way," Aonuma told Kotaku. "I kinda frontloaded all that in Skyward Sword, and it doesn't really help to get that information when you don't know what to do with it," he continued, adding "So that was a real learning experience for me. So I'm going to be careful not to do that." In 3DS's The Legend of Zelda: A Link Between Worlds, Aonuma solved this problem with the implementation of "Hint Ghosts": completely optional advice-dispensers that would pop up and give you help if you asked. As I didn't even know these ghosts existed until I had already finished the game, I would say it was a pretty effective solution.